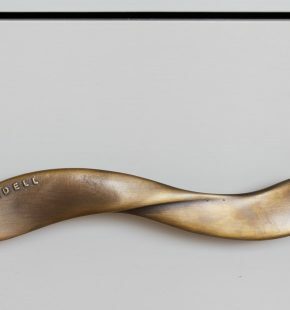 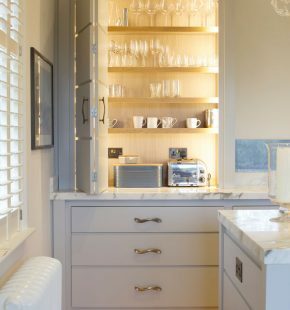 This kitchen was made for a client with huge designer ethos – he is heavily involved and indeed creates the Brit Awards every year so he knows a thing or too about design, infact he designed and had made his own handles for this project. 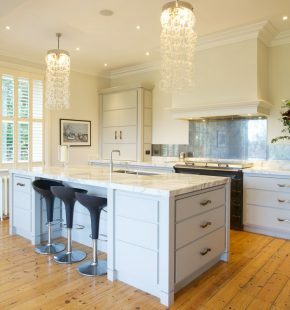 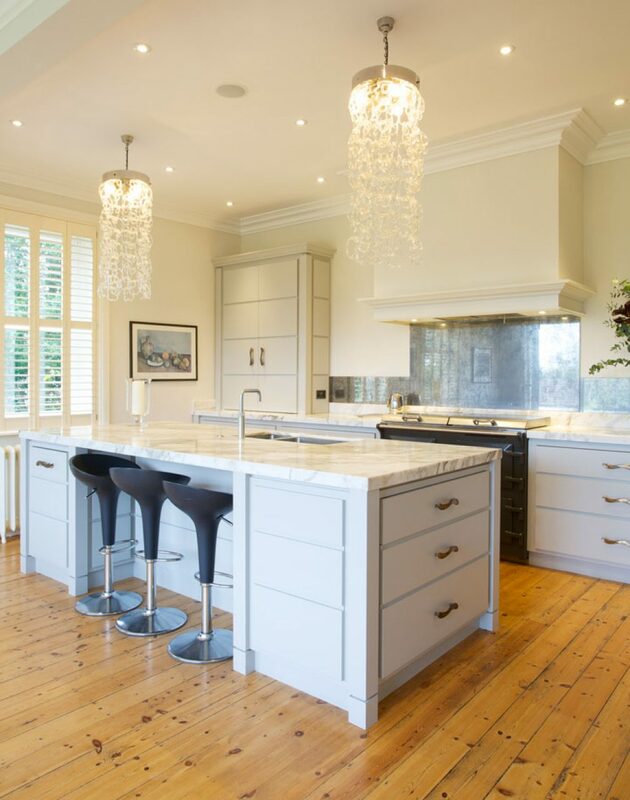 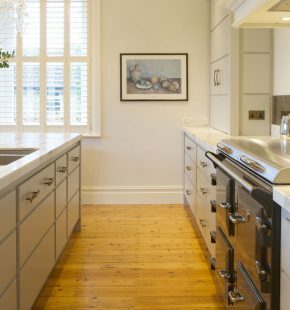 Although very much a period property – it had been decorated throughout in a very contemporary and relaxed style so Nick continued that theme through to the kitchen. 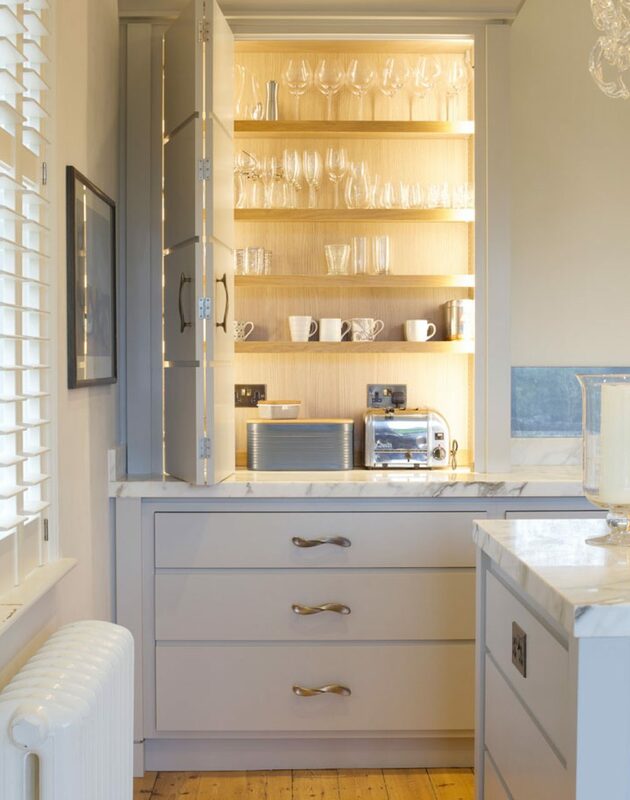 The Everhot was positioned centrally to the room which allowed for a large Bowman cabinet and antique mirror glass works as a splashback with a larger piece behind the Everhot. 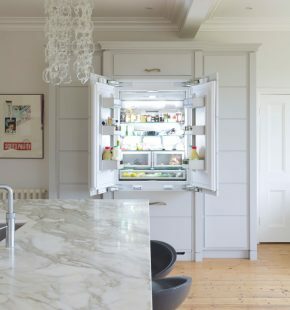 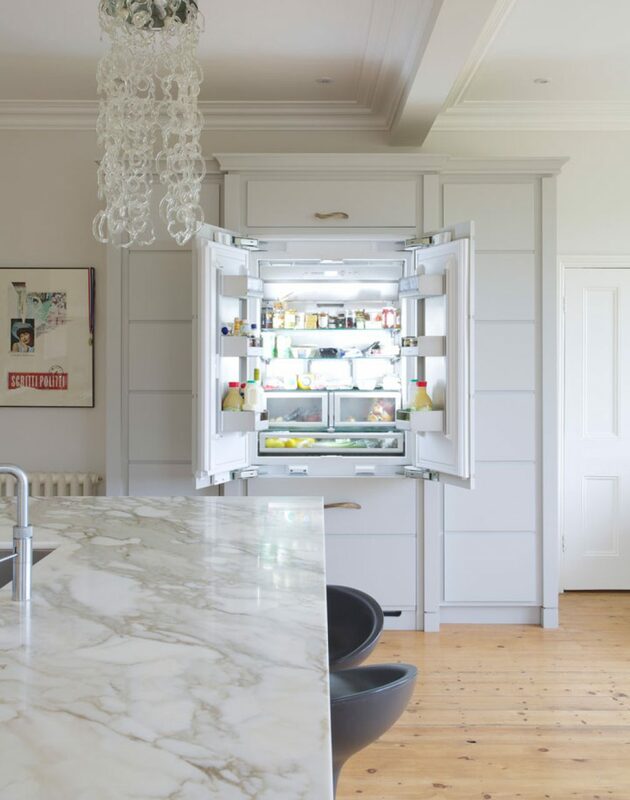 A separate tall run of cabinets neatly houses the fridge freezer with huge cabinets for storage either side. 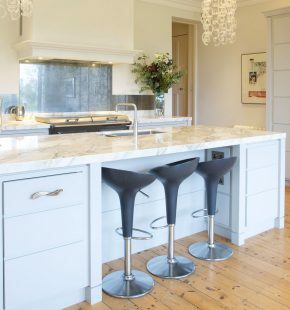 Their retro antique Italian Murano glass chandeliers hang from the high ceilings and are completely at ease in the huge space; the look is finished off with a specially imported Calcutta Oro marble.